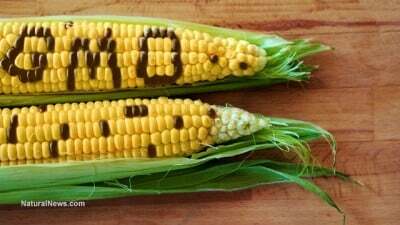 The ruling, which came after the Tribunal spent three years gathering evidence from more than 1,000 organizations on GMO safety and effectiveness, warns that GM maize threatens to contaminate Mexico’s roughly 60 native corn varieties. More than just a staple crop, corn is a cultural treasure of Mexico, and because there is already a natural diversity of it, corn grows exceptionally well without the need for genetic alterations. But the biotech overlords aren’t having any of it, as they repeatedly try to thwart national laws to get GM corn into Mexican fields. There has been considerable public resistance against this egregious form of “biocide,” but the Mexican government has yet to issue an official ban. As it currently stands, there is sort of a “people’s moratorium” in place that has left GM corn off the table for now, but this moratorium needs to be reinforced by actual law to prevent future plantings. Recognizing that GMOs inherently undermine traditional food production systems, the Tribunal also declared in its indictment that GMOs need to be banned because they are the “ultimate weapons against independent food production… and the corporations that control them.” This is particularly true in regions where agriculture is subsisted by many smaller farms rather than a few larger farms. Besides this, GM maize isn’t even necessary. It won’t serve any purpose other than to potentially reduce yields, consolidate control into the hands of a few powerful corporations and increase the risk that corn crops will fail. And all this while farmers end up getting locked into contracts with corporations like Monsanto, which will bleed them dry, steal their land and eliminate all biodiversity and food sovereignty.